Treasury disowns eCitizen platform company – Kenyatta University TV (KUTV). All Rights Reserved. The Treasury has disowned a firm that was contracted to collect revenue on its behalf from eCitizen users, deepening the mystery of how a private company took over a role ordinarily handled by the KRA. 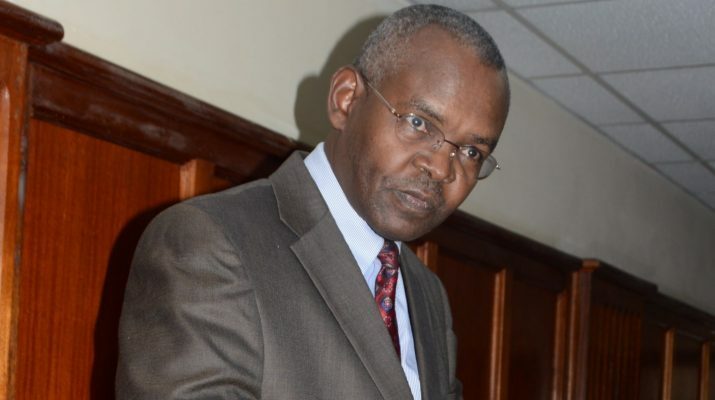 Treasury principal secretary Kamau Thugge has in fresh court papers stated that the government did not authorise any private firm to receive eCitizen payments on its behalf. Goldrock Capital has sued the Treasury and Webmasters Kenya, which developed eCitizen portal, for denying it access to the website’s mobile money (M-Pesa) paybill number that receives millions of shillings every day from Kenyans seeking government services. eCitizen is an online portal through which the government provides essential services such as applications for passports, driving licences, business registration certificates, vehicle logbooks and title deeds. Goldrock has since 2014 collected over Sh5.6 billion under the eCitizen platform. The firm has also enjoined Safaricom in the suit. The Kenya Revenue Authority (KRA) is the primary agency authorised by law to collect revenue on behalf of the government. Dr Thugge now says the Treasury only authorised Webmasters Kenya to train government officials to handle the payment portal hence any contract purporting to hire another firm for collection of revenue is null and void. The eCitizen portal was developed in 2013 with funding from the World Bank’s private lending arm IFC and other donors. Goldrock says it was subcontracted by Webmasters Africa Limited on behalf of Webmasters Kenya Limited. But Webmasters Kenya now says it has no relationship with Webmasters Africa and has never hired Goldrock Capital to collect revenue from the eCitizen platform. Despite the denial, court records indicate that Webmasters Kenya’s CEO James Ayugi doubles up as Webmasters Africa’s managing director, pointing at an ownership or managerial link between the two software development firms. In Webmasters Africa’s replying affidavit, Mr Ayugi admits that the firm subcontracted Goldrock to collect money paid to the eCitizen platform, but says the deal would expire in the event that the government issued a binding directive relating to the payment portal. Dr Thugge, however, insists that the contract between Goldrock and Webmasters is illegal as collection of revenue on behalf of the government requires authorisation from Treasury CS Henry Rotich. Goldrock Capital had obtained a court judgment allowing it access to Sh127 million that it had collected before being locked out of the Mpesa paybill account in April. Webmasters Kenya, Safaricom and the Treasury have challenged the judgment, arguing that Goldrock hoodwinked Justice Fred Ochieng into reaching the decision.